Are you building a new or renovating a property? 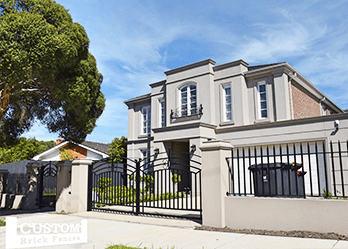 Wanting to get more from your fencing in Mulgrave? You’ve come to the right place! 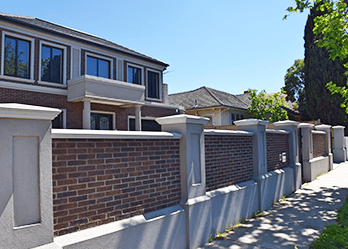 When it comes to fencing in Mulgrave, customers coming to Custom Brick Fences have everything they need. 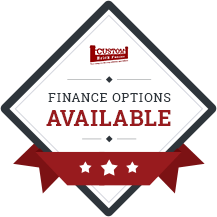 In our fifteen years in the business, we’ve established ourselves as the reliable custom made fencing place. We rely on word-of-mouth from our customers and we don’t consider a job complete until you are completely satisfied. How do we guarantee quality? Well, we are the manufacturer – so you know that we are perfectly aware of the quality of our products. Every fencing product from Custom Brick Fences is stamped with the pride we take in our craft. We also install our products, to make sure that they are handled correctly and are erected in a way that means they want lean or sink in a few years time. We have a range of products including wrought iron gates and aluminium gates. Do you live near the ocean? Maybe you live near a body of water? With our aluminium gates, you have a very durable product, no matter what is thrown at them. 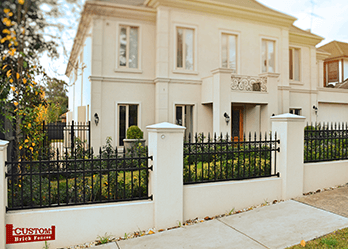 Our aluminium gates are rust resistance, so you know they will stand the test of time. You don’t want to have a costly new gate in just a few years time. Do it right the first time! Call on Custom Brick Fences today. The beauty of automated gates is their convenience. With the simple push of a button, your gate will slide away or swing away, allowing you ease of access to your home.